Near where I live there is an old castle ruin. I‘ve been there before and photographed, but the rascal is hard to catch neatly on image. 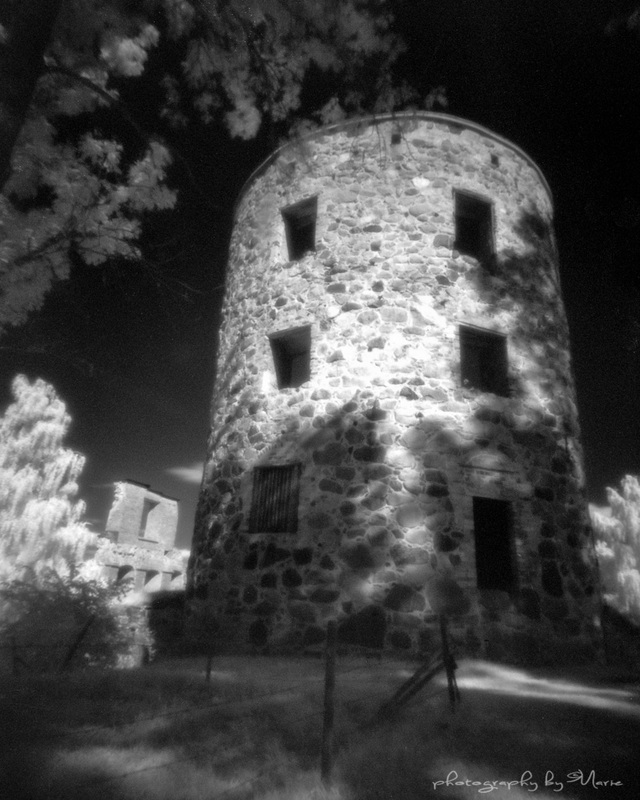 So now, I picked up my very wide Harman Titan Pinhole and loaded the film holders with film sheets of infrared Efke 820IR. And I think it was really good! Though I have more ideas, so I definitely have to revisit this …. And have a great rest of the week! Thanks a lot Jesús, I’m glad you like it! Very, very nice. A dream. This is just gorgeous Marie! 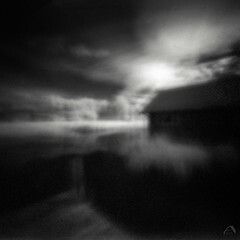 The combination of IR and pinhole really works – very spooky! Super. Impressive set Marie! 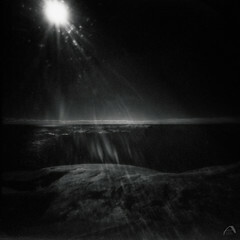 Very dramatic too. Really really impressive!!!! I love it! 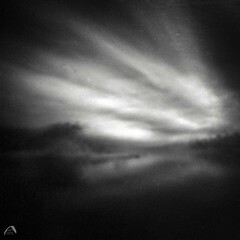 Wonderful images Marie and my preference is the second image, for the composition and the haunting light. 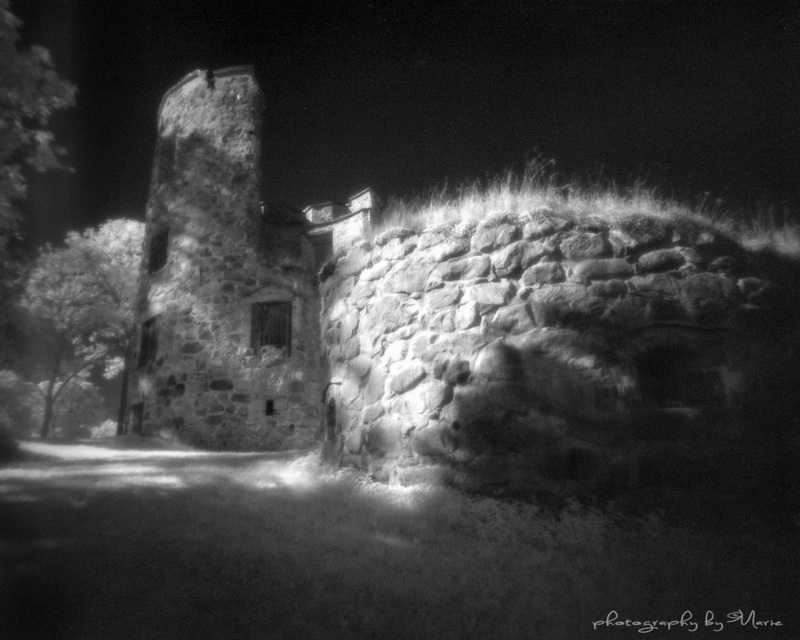 I have to say Marie the combination of infrared and the pinhole camera has produced a wonderful marriage. The effect is has made me re-evaluate my thoughts on going back to film for a while…I am definitely going to give it a try as my father has given me his Contax Aria and various prime lenses…Oh joy!. Give it a go James!!! Good luck!! Many thanks Marie for these supportive words and yes I shall be giving a go over the coming months.